During your child’s first orthodontic appointment, we will help you get acquainted with our office, staff and help you answer any questions you may have about first orthodontic treatments. Great oral health starts early. From the time an infant’s first tooth breaks through, to teaching your child proper oral hygiene, parents set the tone of their dental journey! The American Dental Association recommends that a child visit the family dentist upon the mark of their first birthday while “baby teeth” are still emerging. Initiating interaction between the dentist and your child this early can be extremely beneficial since teeth and jaw development can be assessed properly and a professional may be able to alert you of any changes that might occur as your child grows. This will not just lay the foundation for a lifetime of superior dental habits, but it will also get your child acclimated and comfortable at the dentist office. All children should get an orthodontic check-up no later than age 7. 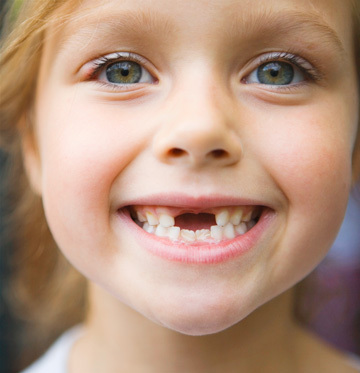 At this point, each child will have a healthy mix of baby teeth and adult teeth for an orthodontist to examine their gums, jaw and tooth alignment, and begin the process for correction. While your child’s teeth may appear to be straight, there could be a problem that only an orthodontist can detect. Of course, the check-up may reveal that your child’s bite is fine, and that can be comforting news. Either way, early detection is key for a beautiful smile with a healthy bite. Depending on the case, the orthodontist may or may not recommend immediate treatment. Each individual who needs treatment is subject for an ideal time to begin that treatment in order to achieve optimal benefits and results. However the earlier the treatment provides an increased likelihood to prevent more serious problems from developing, and may make treatment at a later age shorter and less complicated. In addition to improving oral health, orthodontic treatment can provide the confidence that comes with a healthy, attractive smile for years to come. You may be pleasantly surprised to find out how affordable such an investment can be. Most orthodontists will work with you to arrive at a payment plan that fits within your budget. In addition, many dental insurance plans now include orthodontic benefits. Often times, a parent of a child who is being treated will inquire about correcting his/her smile. Orthodontics can be affective at any age. There is no cut-off to improving your smile, overall appearance, and confidence. With today’s smaller, less visible, more comfortable options, plus the affordable payment plans that many orthodontists offer, adult patients are finding braces/alligners to be more appealing than ever. Only dentists who have successfully completed these advanced specialty education programs may call themselves orthodontists. An orthodontist is a specialist in the diagnosis, prevention and treatment of dental and facial irregularities. All orthodontists are dentists, but only about six percent of dentists are orthodontists. Admission to orthodontic programs is extremely competitive and selective. Achieving healthy, beautiful smiles is a team effort that involves the orthodontist, the family dentist, the patient (and the parents, if the patient is young) and, as needed, other dental specialists. The orthodontist provides the expertise, the treatment plan and the techniques to straighten teeth and align the jaws. The family dentist helps make sure that teeth and gums stay clean and healthy. The patient must cooperate by following the dentist’s and the orthodontist’s instructions carefully so that the teeth and jaws move in the way desired and on the prescribed schedule. Because dental hygiene is so important, regular visits to the family dentist must continue every six months during orthodontic treatment (or more often, if recommended). It is essential that the patient avoid foods which may damage orthodontic appliances. The patient must also maintain a healthy, nutritional diet to achieve the best possible results from treatment. A good diet provides essential nutrients to bones and tissues undergoing change during orthodontic treatment.